Imagine a place in paradise where you are minutes from verdant, lush rainforests, steep mountains, and some of the best beaches on the bluest water you’ve ever seen. The puffy clouds hide the bright blue sky, and the weather’s nearly always perfect. This can all be found in the cities of Kaneohe and Kailua, across the Ko’olau Mountains and about 15 minutes from Honolulu on the island of Oahu in Hawaii. The population on this side of the island is approximately one-fifth that of Oahu at large, or about 180,000 people. 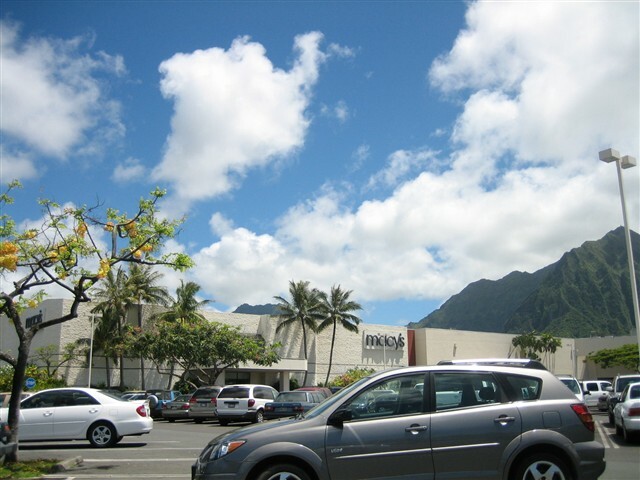 The retail on the windward side of the island is centered mainly along the Kamehameha Highway in Kaneohe, with several shopping centers along the road including the Windward Mall. 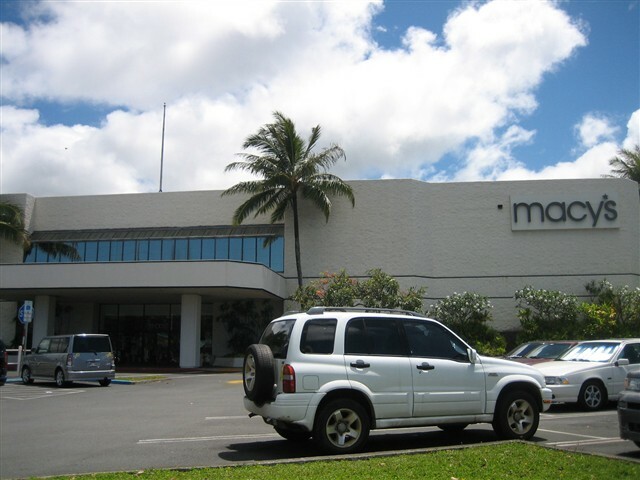 The windward side’s only enclosed “traditional mall”, Windward Mall is anchored by Macy’s, Sears, and a 10-screen stadium seating theater. 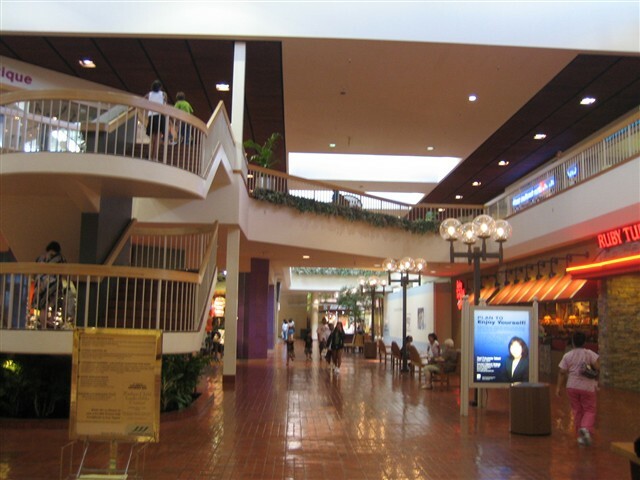 The mall also has over 100 stores on two levels, and a satellite city hall for Kaneohe. 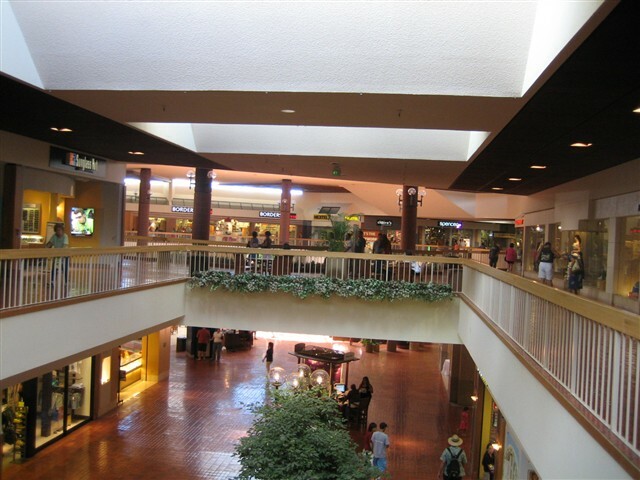 Windward Mall is shaped like a wish-bone, with three major mallways intersecting at one main center court. 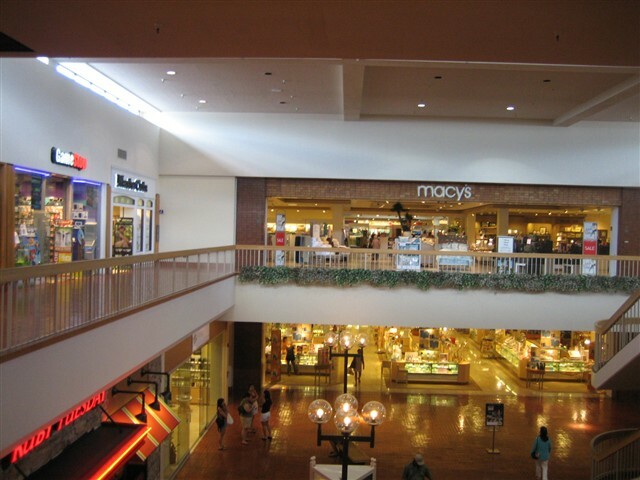 Each mallway is anchored by either Macy’s, Sears, or the movie theatre at its end, and each is also two levels. The decor of the mall is amazing: think of the malls you shopped in as a kid, or however old you were in the 1970s or early 1980s. The entire floor on both levels is a very shiny maroon brick. The railings along the second level are dull and wooden with very thin, white slats. 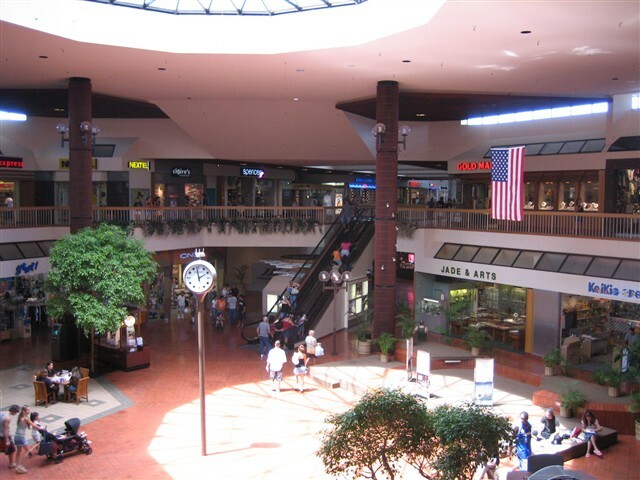 The mall opens up at center court and the ceiling is raised to expose a large, circular UFO-like skylight. Along at least one wing, giant elephant-earring like clear circular lights shone on the shiny floor from atop black posts. The stores in the mall were very mid-range, catering to a variety of demographics. More succinctly, the mall feels like your average typical suburban mall of middle America. From 1980. Despite the dated decor, the stores are current and represent most of the national as well as local chains. I was elated at the mall’s decor as well as its beautiful location in the shadow of the 3000-foot mountains, with the beach just minutes away. 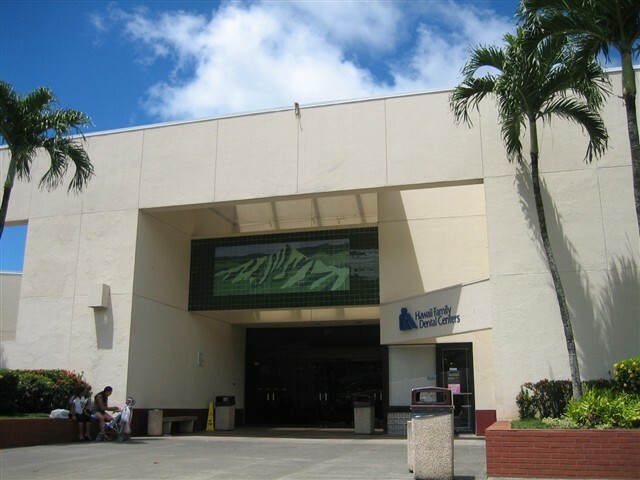 According to an article posted by the mall’s owner, the Kamehameha Schools, in January, 2006, Windward Mall will soon be undergoing an extensive $23 million interior renovation. Likely, this means the days of the giant pearl lights and the shiny maroon floor are numbered. 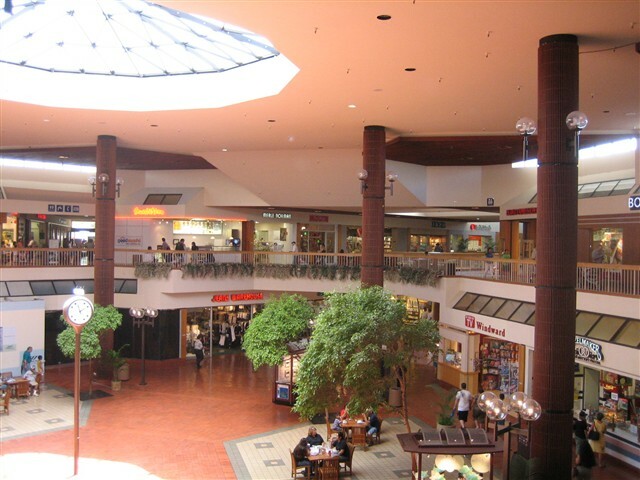 This will be the mall’s first renovation since it opened in 1982! 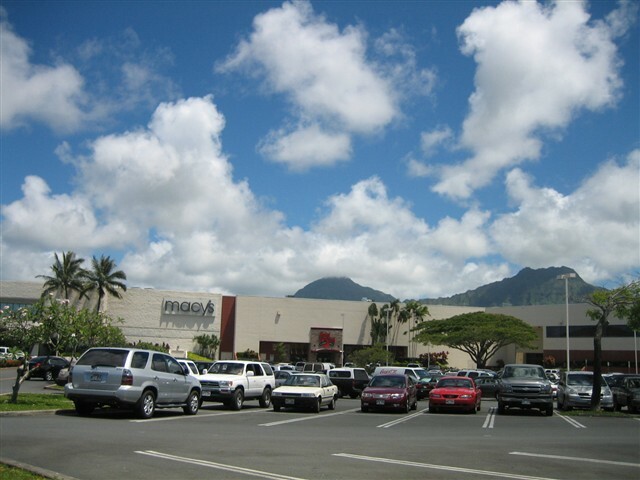 In addition, General Growth Properties was retained to help the mall acquire a more national tenant mix and add more popular retailers to Windward Mall. All pictures were taken by me in June, 2006. I remember this as a weed-filled field. It seemed like it took forever to build and there was always some controversy about its construction. The mall actually swayed at times. Liberty House (now Macy’s) had a separate construction firm and perhaps it swayed less as a result. This was a pleasant place to take children for free music and dance (or other events) at Center Court. When it opened Penny’s was the other anchor. Despite what ‘Prangeway,’ says, I think this was a comfortable mall. I think it dates well. I like the colors, I never thought about them, so they didn’t distract me. That’s a good thing. (the floor could be slippery in places) Newer isn’t always better. Not all the stores appealed to me, but there were some bookstores and Local Motion, Liberty House and Liberty House Penthouse to draw me in. One bookstore catered to children. The food court was fair, not all mainland things, lots of ‘local’ choices. I remember how Cinnabons had long lines for years after it opened..*smile* Kaneohe had a population in the 35,000 range in the 1990s – I doubt if it’s more now, so this is actually a good sized mall for the population. It’s much more accessible as far as space and ‘local’ atmosphere than places like Ala Moana and Pearl Ridge. The skylight is great. It rains a lot in Kaneohe, so enclosed was a good fit. 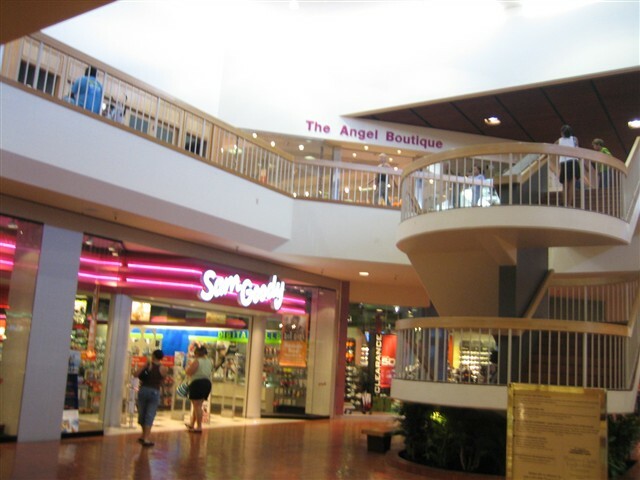 I feel like I should clarify something that Prangeway said–we actually PREFER malls with older decor. We’re both of the mind that malls were built with a heck of a lot more character up until sometime in the mid-1980s, so he probably didn’t mean that statement disparagingly! Wow, a mall that still has brick colored walk ways a main street type decor….thats rare! @Ed, yes where the movie theaters are now it was 2 floors and border’s is on the bottom floor now..I miss Penny’s!! Where Windward Mall is now used to be a big field with trees. Further back behind Heeia Elementary School there were cows. I remember going to the playground chainlink fence to look at the cows with my classmates. Once we saw a dead cow not too far from the fence and we allerted a teacher. It was a sad sight indeed at such a young age. The whole area was a field. I believe there was a house in there. Kaneohe did have old style plantation houses here and there. When they were digging to build the mall. I went into the lot and wrestled free a Diamond Head Soda bottle from the pile of rubble. My object….to remember the long lost country feel of Kaneohe. I still have that bottle.